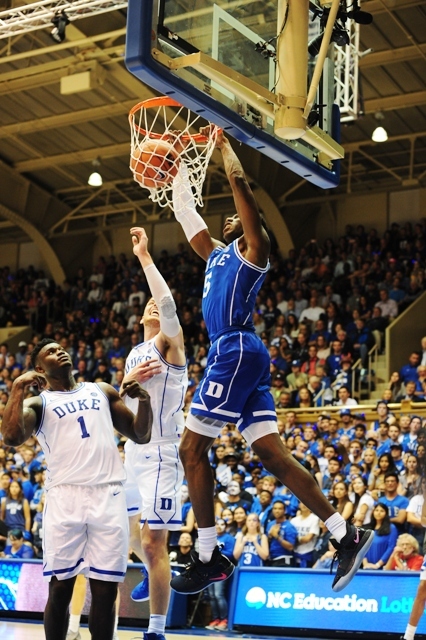 Well, the Duke Basketball season is upon us and what a way to open things up. The Blue Devils will face off with the Kentucky Wildcats tomorrow evening in Indianapolis, IN in a matchup of college hoops heavyweights. So, what are my thoughts going into the game? Mike Krzyzewski has one of the youngest teams he's ever coached. While this group is immensely talented, they still start four new freshmen, This game will be a measuring stick for the program for Krzyzewski has in no way implemented his full hand yet with concern to how this team will look in March. This is by no means a must-win game for either team. It is instead, a game for college basketball fans around the world to celebrate the tip-off to another season. And, yes, the winner will stay atop the polls for sure, but the loser will not fall too far in the rankings. 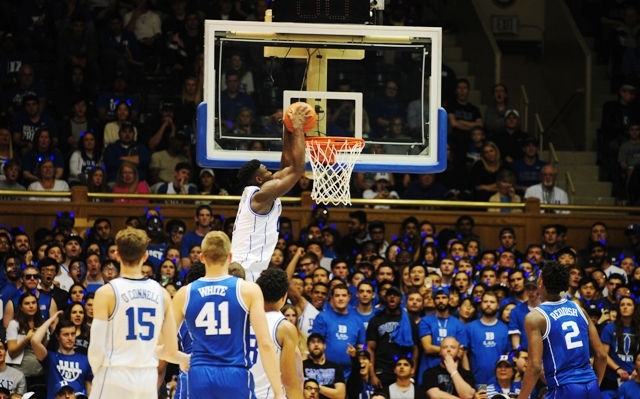 What are the potential weaknesses for Duke this season? 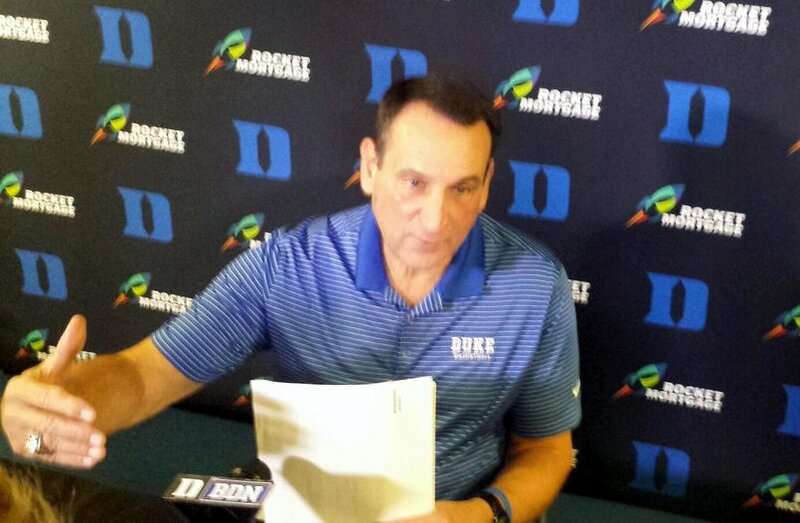 The defense will be improved where Krzyzewski has shown he will go man to man much more often. Duke is long and athletic and can get in passing lanes while pressuring the ball. This team will run. When the breaks are there, Duke will be off and running. 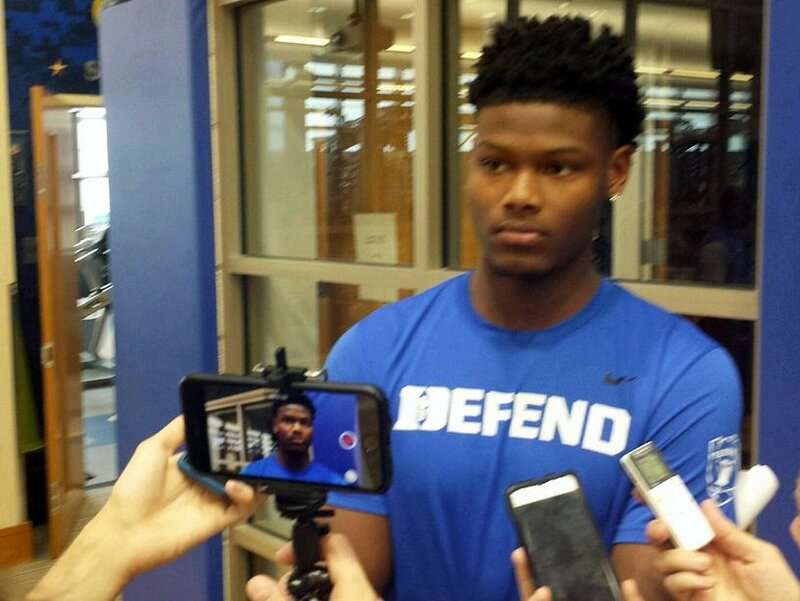 Duke will also benefit from knowing their roles and or chemistry this season. asked veteran players in the locker room about this and they said this team is together on and off the court. I suppose we have to mention how ridiculously good the freshman class is as well. R.J. Barrett is an alpha dogs, alpha dog. 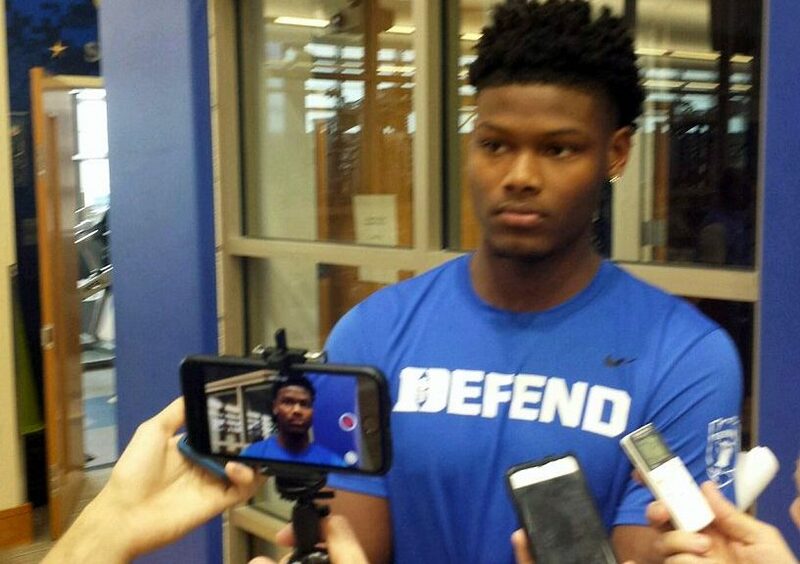 Zion Williamson is a pleasure to watch skywalk, Cam Reddish knocking down threes is nice too. And all three can pass the ball as can true PG Tre Jones. Duke will benefit greatly from having a more traditional point this season in their positionless scheme. 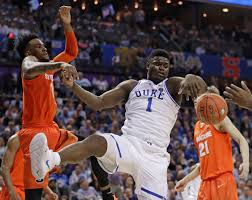 It will not be easy for Duke to beat Kentucky in that the Wildcats are a solid nine players deep and they have some grown men in their lineup. You just cannot concentrate on any one player for there is a danger at each position on the court. One thing which Duke needs to do is stay out of foul trouble early and the whole game for that matter. 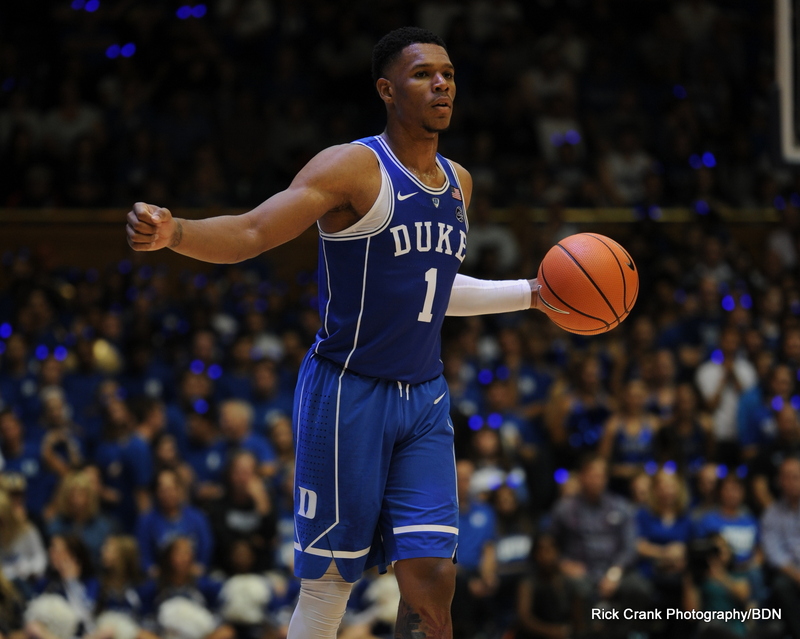 Duke loses a lot of talent when they go to their bench, but there are players capable of quality minutes there and they need to step up against the Cats. If those two things happen, Duke will be tight their in what should be a tense and close game before the final buzzer sounds. Duke has a very challenging early season schedule which includes tomorrow evenings opener against Kentucky. The Blue Devils will face stiff competition in Hawaii for the Maui Invitational where they can run into highly ranked Auburn and Gonzaga, not to mention Arizona. Even the opener against San Diego State is tough. Duke will take on one of the most underrated teams in the nation when they face Indiana in the ACC/Big 10 Challenge and mark my words, the Hoosiers will have move up the polls by then. These games along with a brutal ACC schedule and a late-season contest with St. Johns, where Mike Cragg now resides as the AD will have them a seasoned bunch before March Madness. Who do I think will be good in the ACC this season? The league is loaded. I voted for Duke, North Carolina, Virginia, and Syracuse in no particular order in the top four and have Virginia Tech, Florida State close behind. N.C. State will be better than some think, never sleep on Miami. Clemson will be solid and Notre Dame has an interesting roster. I went a little outside the box and voted Tyus Battle preseason ACC POY and R.J. Barrett as the top freshman. I also place both Barrett and Zion Williamson on the first team. 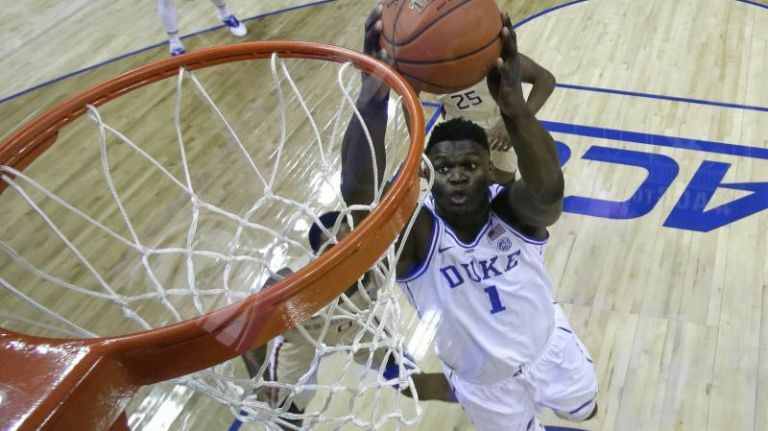 It is a safe bet that Duke will have no less than three newcomers on the ACC All-Freshman team at seasons end. What is Al Featherstons take? Al thinks this years team can reach the Final Four but that a lot has to go right. He felt Marques Bolden contributing solid minutes is a major key to success as is bench development of the seventh man in crunch time. 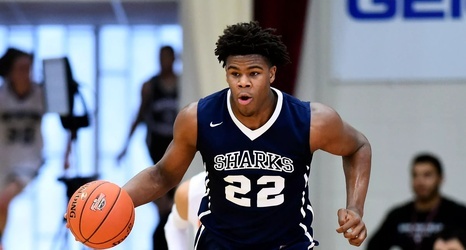 I watched all of the games in Canada with Al before he passed on this morning and he was excited to see what the team would look like with Cam Reddish and Tre Jones in the lineup. He scanned over the last exhibitions games box score fervently before saying, they're going to be pretty damn good. I will miss talking Duke history with Al and was honored he valued my opinion. I had hoped he'd make it through what may be a special season. We are still offering a special rate for new or former Blue Devil Nation premium subscribers of 60 bucks for one year. I will be talking recruiting happenings later this week while offering up behind the scenes tidbits.